UPDATE: Officials with the New Jersey Department of Environmental Protection say they believe the alleged "large cat" in Ewing Township, seen in the photo below, is little more than a house cat. Residents of Central New Jersey's Ewing Township have been advised to be on the lookout for a large cat seen roaming around the area in Mercer County. The Ewing Township police department issued a warning Thursday afternoon on Facebook. Residents are asked to avoid the animal and immediately call 911 if they cross its path. The sighting in Ewing Township comes a few months after another large cat was spotted in Reading, Berks County. The African serval, believed at first to be a cheetah, was eventually corralled and taken under the care of a wildlife group for future educational programs. Federal officials recently declared the eastern cougar extinct, though several other native American wild cats can be spotted in Pennsylvania and other parts of the United States. 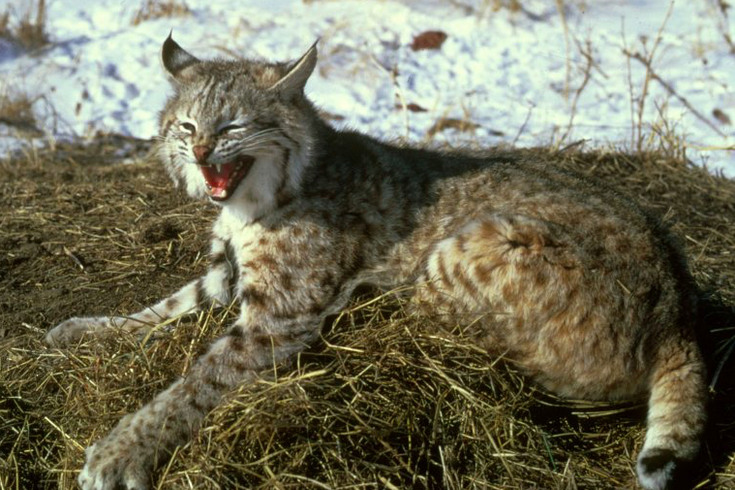 Bobcats are considered endangered in New Jersey and are not often seen by humans, but reported sightings have increased as the state's population recovers. Officials did not provide a photo of the cat spotted in Ewing Township on Thursday.